The Disney on Broadway Concert Series will run nightly at the Festival of the Arts and the Garden Rocks Concert Series will also be performed each night of the Flower and Garden Festival. Dining packages for both are expected to be available. 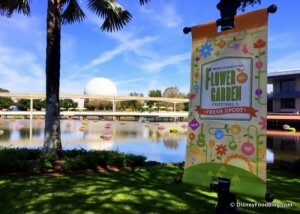 For the most up-to-date information on both Festivals be sure to check out the Disney Food Blog’s Festival of the Arts page and the Epcot Flower and Garden Festival page.